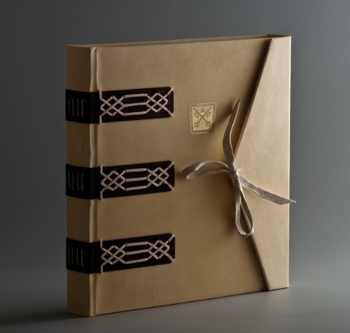 A unique collector's edition for the most important book collectors around the world. Coinciding with the publication of The Vatican Secret Archives, VdH Books is issuing a unique collector's edition for the most important book collectors around the world. Only 33 copies, 3 of which are reserved for the Pope, the Vatican Library and the Vatican Secret Archives, will be published on request in Italian, English, French or Dutch. With each book being made on request in the studio of the Vatican Secret Archives, delivery times of approximately 3 months should be expected. If you wish, you can have your book personalised with your name or ex libris. The collectors’ edition is priced at €4950 (incl. VAT, exc. shipping costs, payable on order). When the full production has been completed, purchasers will receive a list of the 33 buyers. It is also possible to be listed as anonymous.